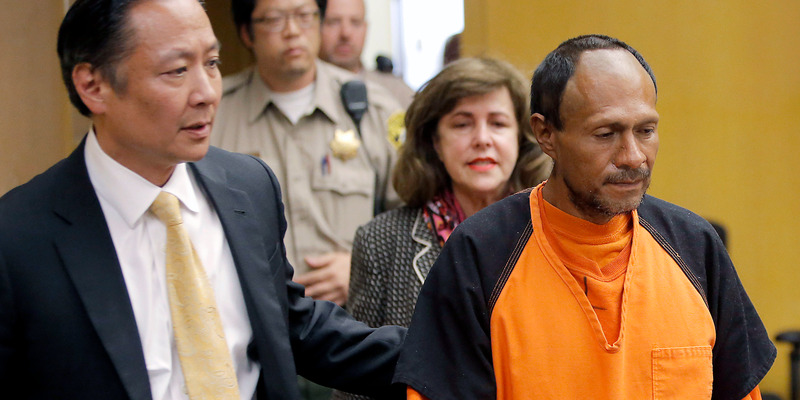 A Mexican national was acquitted of murder charges in the killing of 32-year-old Kate Steinle. 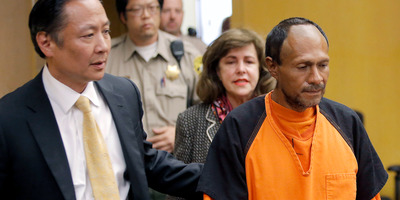 Steinle’s father said that his family wants to move on with their lives. Steinle’s death has been a politically-charged talking point for conservative groups that have called for stricter immigration enforcement. When the jury’s verdict in the trial of a Mexican national accused of murdering 32-year-old Kate Steinle was read Thursday, the Steinle family was reportedly absent from court, according to the San Francisco Chronicle. Kate was fatally shot in the back by a stolen gun in the possession of Jose Ines Garcia Zarate, a Mexican national who was previously deported from the US five times and served in a federal prison. Zarate claimed that the shooting was an accident; that it happened after he picked up the gun. Conservative groups used Zarate’s criminal record to argue that US immigration policies are inadequate, and called for stronger enforcement. Many have used the occasion to rally around Trump’s proposal to build a wall along the US-Mexico border. Trump brought up the case many times during his 2016 election campaign. Michael Macor/San Francisco Chronicle via APIn this July 7, 2015 file photo, Jose Ines Garcia Zarate, right, is led into the courtroom by San Francisco Public Defender Jeff Adachi, left, and Assistant District Attorney Diana Garciaor, center, for his arraignment at the Hall of Justice in San Francisco. But the jury viewed the case differently. Zarate was acquitted of the murder and manslaughter charges, and was found guilty of felony possession of a firearm, according to the Associated Press. Jim, who held Kate after she was shot, said that the interview with the Chronicle would probably be his last. When people asked for his opinion on whether Zarate should be executed, he offered a poignant statement.